I think she needs to add mentor and guru to that list because that is what she is to me and so many others. I read her posts and I Learn. I picture what it could be like for Jay in a few years. In fact that is why I approached her to do this guest post. I asked her, “If you knew what you know now 5 years ago… what would you have done differently? What do you want to tell us moms with younger kids?” And Karen, even with her life on the cusp of neurosis and sanity, came through. I have not met Karen in person yet, but through her writing I feel as if I know her, and she is my friend! I think you will feel the same way. So grab yourself a cup of coffee, can of coke or whatever else your poison may be and get ready to read a great post from a WONDERFUL woman. Make sure to leave a comment and PLEASE visit her site and vote for her blog as best blog on Top Mommy Blogs. She deserves it! Red was a handful from birth. He cried every single night starting around 6 p.m. and he hasn’t stopped yet. He’s now 15. The best thing about him as a baby was that he slept really well –sometimes 10 hours at a time. This continues to be my favorite time of the day. Children aren’t a moment of trouble –when they are sleeping. Red always talked, we just didn’t understand most of what he said as a toddler. Both of my boys were speech delayed and in the Preschool Program for Children with Disabilities (PPCD). I never worried about labels or having them in special education. I always wanted them to have as many services as they could get, paid for by my tax dollars. In fact, Blue was able to receive even earlier intervention because of my experience with Red. In the first grade we got the infamous ADHD diagnosis, although ADHD never fully explained all of Red’s behaviors – his obsessions, fixations, lack of eye-contact, why he barely talked and interacted with his peers at school, yet talked incessantly at home. We took him to therapist after therapist and had all kinds of testing and assessments completed. No one ever came up with autism. In the 4th grade Red became significantly aware of his difference from his peers. Subsequently, he became markedly depressed. He was starting to notice his lack of real connection with the friends that he had known since kindergarten. He didn’t laugh when they did. He didn’t laugh much at all. He didn’t get the jokes and the silliness of the boys his age. One day I picked him up from school and he says to me, “Mom, I just want to be happy and laugh like all the other kids.” This just broke my heart. His Neurologist dismissed my notions of his being depressed, at that time, they were extremely hesitant to give a child that young any antidepressants. I should have followed my instinct then and had him seen by a child Psychiatrist. The depression only worsened over the next two years. The peer connection issue was a huge problem by the time we arrived in middle school. Focus and completing assignments also became more of an issue. We finally had an ADHD/Autism Differential assessment done. Light bulbs went off when we found out exactly what Aspergers is. It explained so many things about him. All of those years of being misdiagnosed or under-diagnosed were frustrating. As a mother you know instinctively when something isn’t right with your child. Follow those instincts until you get the answers you need and that your child deserves. At this point, I did follow my instinct and had Blue assessed as well. Although, the two of them are very different, Blue had trouble reading social cues, had a lot of anxiety and trouble understanding some teachers and peers. He had a lot of explosions and frustrations at school because of this. My instincts were correct. He is also on the spectrum. I always advocate for both of the boys in school. I make my presence known. I volunteer at the school enough for everyone to know who I am. I get to know people throughout the district’s Special Education department and do not hesitate to call one of them if I am not getting the answers I want or need from the school. I sometimes have a district Special Ed. lead person sit in on ARD meetings and even on staffing meetings directly with my child’s team of teachers. They all know…don’t give Mrs. Weaver the okie doke! She’s not going for it. If teachers can’t get with the program of meeting my child’s needs -they are counseled until they either get it right, or my child is pulled from their classroom. I had such a good relationship with the elementary school. The staff all knew my boys intimately. They knew where to put them each year in terms of the right team of teachers. I make a point of reading everything I can get my hands on about Aspergers, ADHD and depression in children. I arm myself with knowledge, so that I can go into their ARD meetings ready. Often the school will not go through the trouble of finding out what works for your child -what strategies and accommodations that should be made, and that they are entitled to. Once you help put this I.E.P. together, you have to make sure that they follow it. 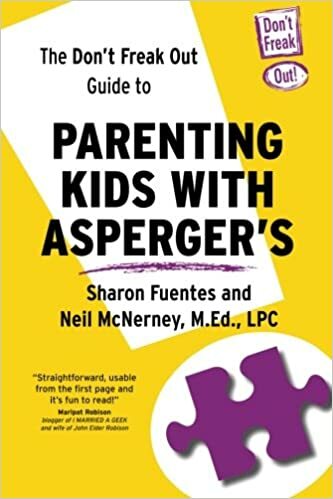 Having knowledge also allows you to feel good about your parenting decisions and not guilted in to doing things differently by those who do not have a true understanding of what it’s like to raise and educate a child with special needs. I make it pointedly clear to anyone who works with them -that my children are my full-time job, my first priority. I also make sure that my husband shows his face, so that they know that we are a team, that I’m not just some worrisome, overprotective, neurotic mom. Although -I am! I often have teachers thank me for advocating for my boys, for letting them know how I think they would learn best, for telling them the best way to communicate with them in order to get what they needed from them in the classroom. We all know how blunt kids with Aspergers can be. I once had a teacher tell me that having Aspergers’s is not excuse for being mean. My son was pulled from her classroom the following day. Furthermore, she was told by the Vice-Principal to have little to no disciplinary interaction with my son, unless it were absolutely necessary! She had it out for Blue because her son was also a student and Blue had asked her son, was his mother mean at home like she is at school? He just wanted to know. His intention was not to be mean. He doesn’t have a mean bone in his body. The thing about Blue is that he knows right away if a person is working in his best interests. She was not. She didn’t “get it.” After she was blatantly rude to me, that was it. He would not be sitting in her classroom for an entire school year. After he left her classroom, she began to see what a remarkable kid he is. By the end of the school year, he even gave her a painting that he made in private art lessons. He would also send her e-mails over the summer. That year he ended up doing a presentation for teachers district wide -on what they can do to help a student with Aspergers in the classroom. He won her over by his intellect, grace and charm. The single most important thing that I do, is to continue to have a life outside of my children. This is not easy. You have to beg, borrow and steal sometimes to get time to yourself or time with your spouse. It is worth it. It will help you stay relatively sane. At least once a year, I take a trip by myself, to see my girlfriends and/or my family. This helps me remember who I am as an individual, as a woman. I also periodically leave them with their father for a girls weekend, or just a girls-night out. I used to worry that my husband, or other family members wouldn’t do things the way I do…the way they’re supposed to be done. I finally figured out, if they’re alive when I get home, that’s all that matters. When I take a break from them…I come home fortified, ready to deal with the challenges and details of my everyday life without totally loosing it. We all know in our heads, that we can’t be any good to anyone if we’re not good to ourselves. I am telling you, if I didn’t take these moments, I would be living in a white padded room by now. Middle school and high school offers a whole new set of challenges. This is the point where I knew for sure, that medication would help arm them to face anxiety, depression and issues with focus. As a result, Blue has absolutely flourished during this 6th grade year. He is getting along with peers and teachers so much better. He is handling all 8 of his teachers with grace and charm. He has made honor roll every grading period and received commended scores on state testing. He got over his fears of eating in the cafeteria and changing out in P.E. He’s had his best year yet. While his brother Red, faces many more challenges with depression and making friends, I continue to fight to find the right combination of medicine, therapy and social skills training for him. I don’t know it all. At times I do lose it and go ballistic. I am human. I make mistakes, but I love to share what I have learned along the way with others who are going through the same journey. I also run a community page on Facebook where all are welcome to share their challenges, funny stories, and triumphs. Like Mama’s Turn Now BLOG? Don’t forget to follow me on Twitter and “Like” my Facebook Fan Page. Both buttons can be found on the left hand side bar under FOLLOW ME! really enjoy reading what you wrote, gives a person something to think about. Sharon, thanks for sharing this. Karen, i wish i’d have found these blogging posts much earlier than I did. i feel that you are so important to autism families and the guest blogs help me find others! You are a true gem. Karen, I just wanted to say how much I always enjoy your blog. I love your positive outlook and amazing spirit. Thank you all for reading and for your kind words! It was such an honor and a pleasure to guest post for Sharon here @ Mama’s Turn! Sharon…thank you for the opportunity. Now it is your turn! Come on over and guest post for me sometime in the next couple of weeks! Karen THANK YOU!!! The amount of comments here does not represent just how many page views I had! Your article was VERY popular! Thank you for your wisdom and wealth of knowledge… you are a great mom , allowing me to share you with my readers and for the opportunity of having some of your readers visit me for the first time. I would LOVE to guest post for you. Just let me know what you would want me to write about! I am so there! Thanks again Karen and we MUST talk soon about the other project we were throwing around! I love reading essays by moms who have children older than mine. YOU have the experience and we lean on you heavily for knowledge about our own children. Thank you for sharing.